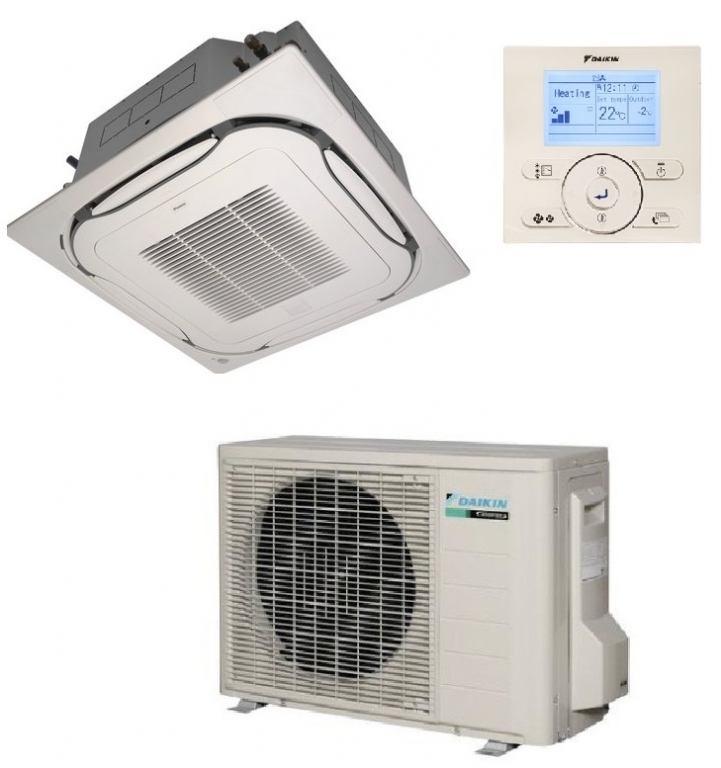 The 5kw rated roundflow cassette model FCAG50A from Daikin. Offering year-round climate control these air conditioning systems offer all year heating and cooling with a host of features. These include an advanced hardwired timer with numerous features including a weekly timer facility and optional wi-fi if required. The design of these compact cassettes ensured that conditioned air is distributed evenly around the room. Note this is the new R32 refrigerant model.